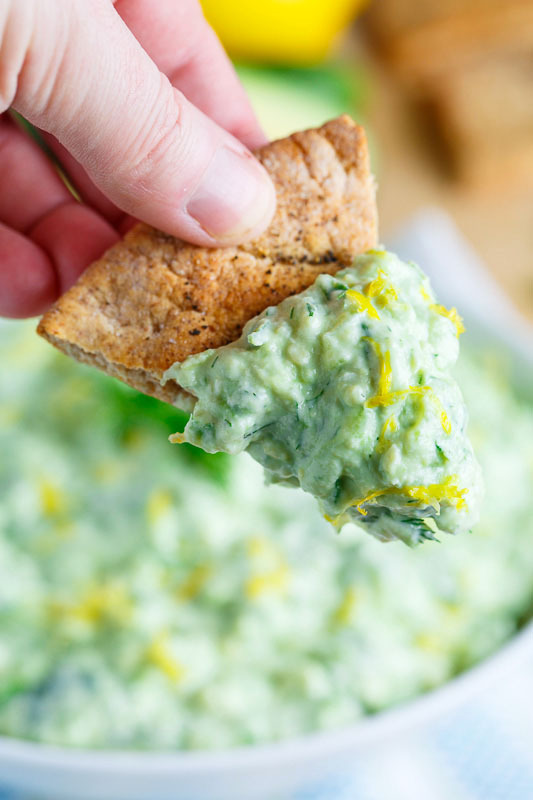 A cool and creamy avocado cucumber and garlic yogurt sauce that is perfect in pitas, on salads, for dipping or even eating by the spoonful. I recently made some tzatziki sauce and while I was enjoying it I thought, wouldn’t it be even better, even creamier with avocado? 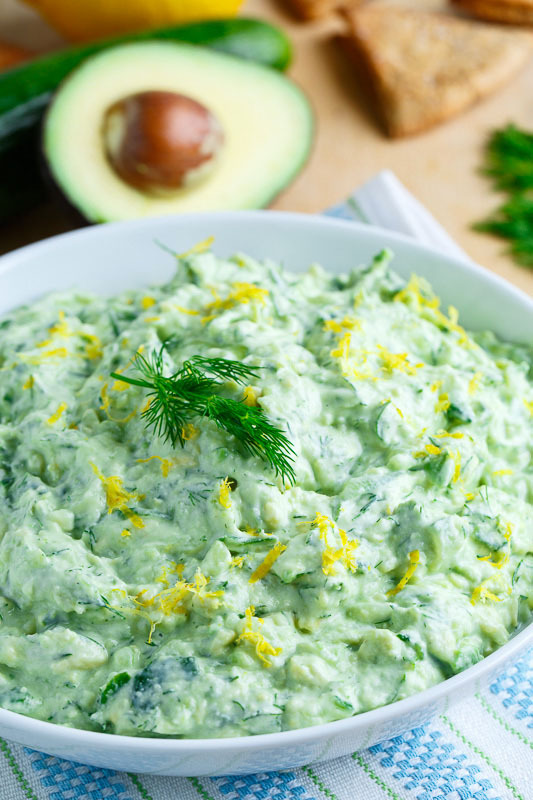 With that thought I just had to grab some avocados and add them to the tzatziki (which is a cucumber and yogurt salad or condiment that also typically includes garlic, lemon juice and fresh herbs) thereby creating avocado tzatziki! 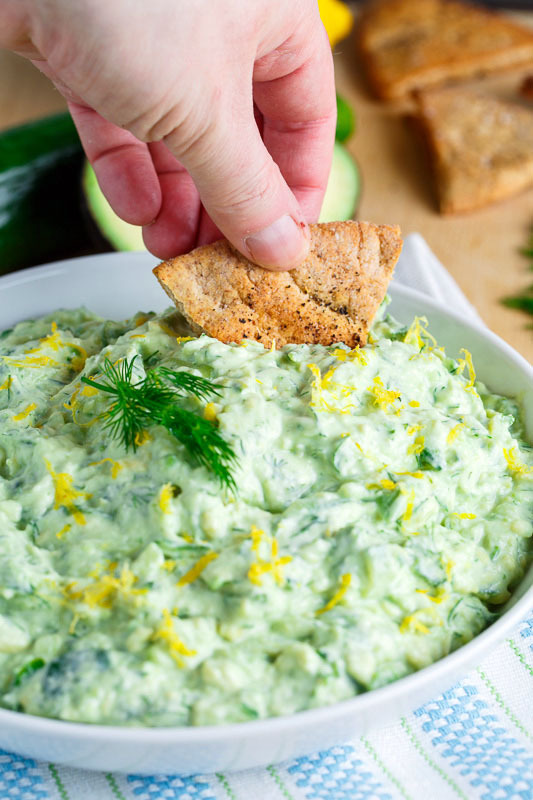 It may just be the avocado addict in me but the avocado tzatziki is so much better than the original and just look at that gorgeous green colour! 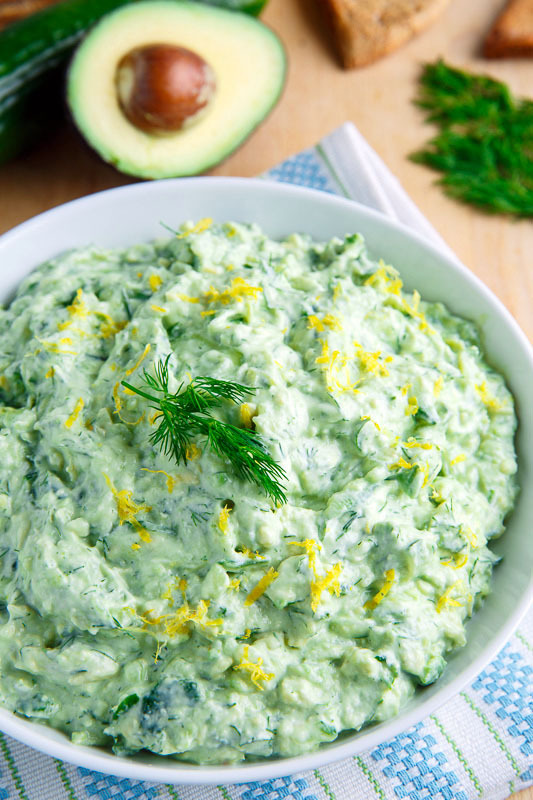 This cool and creamy avocado tzatziki is the perfect side or condiment on a hot summer day! Oh yum I love avocado so this is perfect twist! The nutrition facts are useless if you don't provide the serving size. It said at the top of the recipe that it makes 2 cups or 32 1T servings.. This looks absolutely delicious! I might have to give it a go. https://goo.gl/xW6d7Y Which one of these healthy dishes do you prefer? Thanks for all the amazingly delicious recipes Kevin – this one sounds so yummy too and the Greek Style Salmon. Have a great long Labor Day week-end.